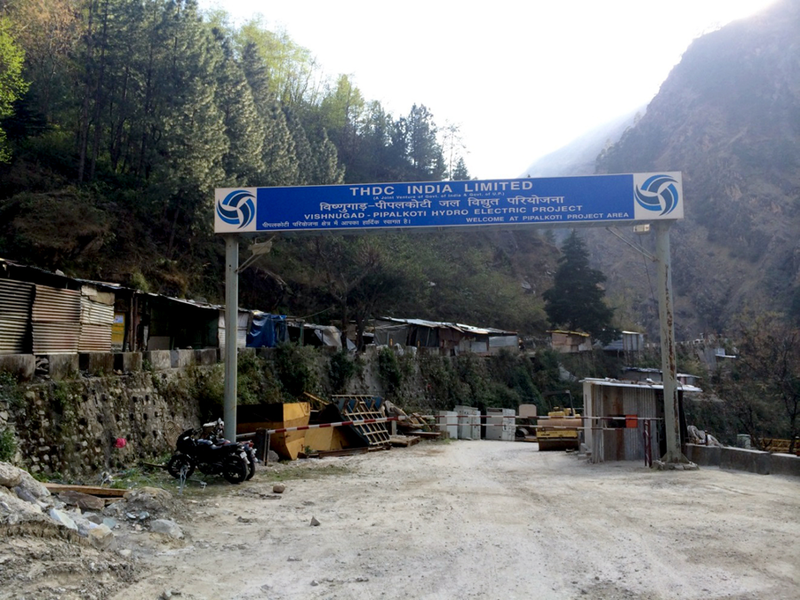 The Vishnugad Pipalkoti Hydroelectric Project (VPHEP) in Uttarakhand, India, is a hydropower generation scheme on the Alaknanda River, one of two headstream tributaries of the Ganga River. The project is financed by a $648 million loan from the World Bank and is being developed by the Tehri Hydro Development Corporation India Ltd. (THDC), a joint venture between India’s central government and the state government of Uttar Pradesh. The project is currently under construction. · Limit women’s freedom of movement and safety. Human Rights Watch spoke with some of the community members protesting the project who said they had faced several years of threats, including gender-based threats, intimidation, and acts of violence by THDC employees and contractors. At the forefront of the protests have been a handful of families who reside at Harsari hamlet, adjacent to Haat village, who have been resisting relocation to make way for the project. Their resistance has received support from some community members in nearby villages who also have concerns about the project. More recently, as discussed below, residents in neighboring Durgapur village have been protesting the construction of a tunnel for the project and the blasting associated with it that they believe is endangering their homes. The flash floods of June 2013 which caused massive loss of life and extensive damage to infrastructure, including to Vishnuprayag hydroelectric project, just 35 miles upstream of VPHEP, intensified concerns among these community members regarding the potential environmental impacts of the project. In July 2012, several community members filed a complaint with the World Bank’s Inspection Panel raising social, cultural, and environmental concerns about the project’s impacts. The complaint also highlighted concerns about “women’s freedom” as a key issue. In particular, complainants argued that the presence of so many male company employees and contractors, including migrant laborers, around the communities was a real threat to the safety of local women, especially given the prevailing environment of intimidation.